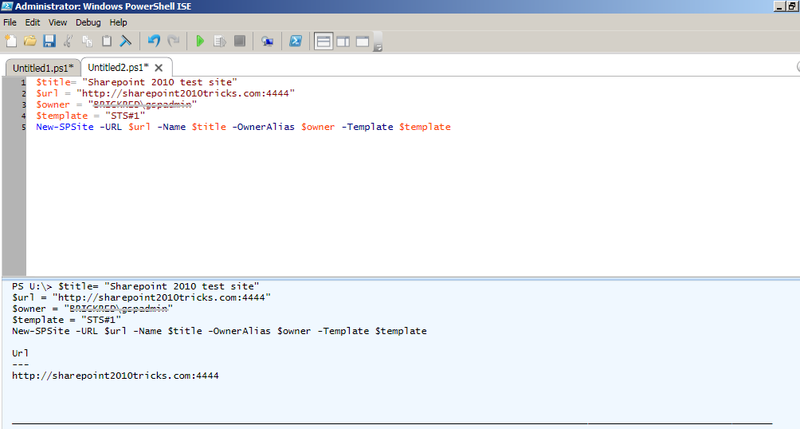 Often, we come across requirements where we have to do some stuff on the staging or the production servers again and again like creating web applications/site collections in a fresh deployment. 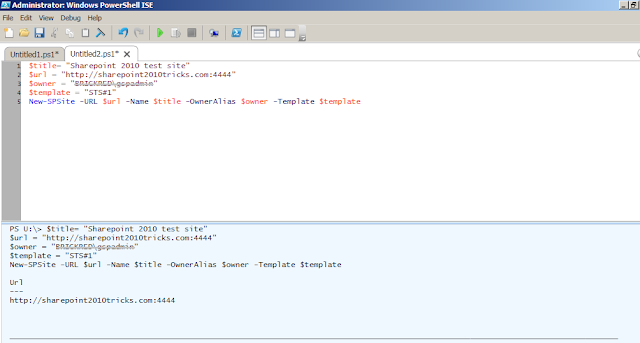 Powershell is of great use here.It allows administrators to write scripts which can do all these tasks quickly.In this blog, I have provided powershell scripts that automate creation of a Sharepoint web application and a site collection. 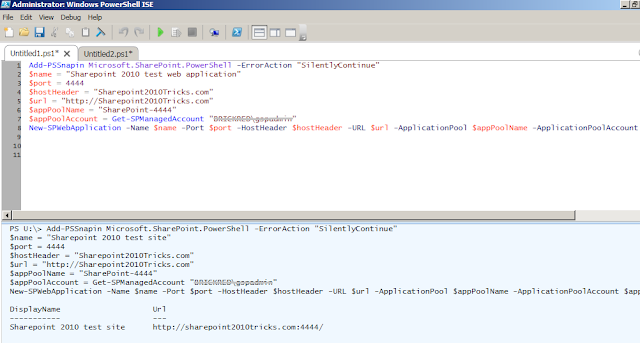 $name = "Sharepoint 2010 test web application"
Perform an iisreset now so that sharepoint detects the new web application. 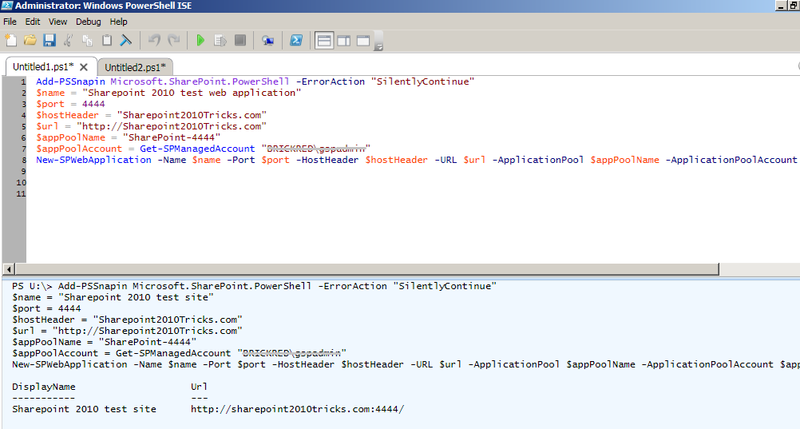 $title= "Sharepoint 2010 test site"
$owner = "<Your Domain>\<account name>"